John Wyver writes: here’s a handful of links to articles and videos about painting and photography that have engaged and delighted me over the past month or so. That’s all. PS. a batch of Bonnard links, as in Pierre, follows shortly. PPS. I realise almost all of these are about or from the United States – I’ll try to take a wider view next time. 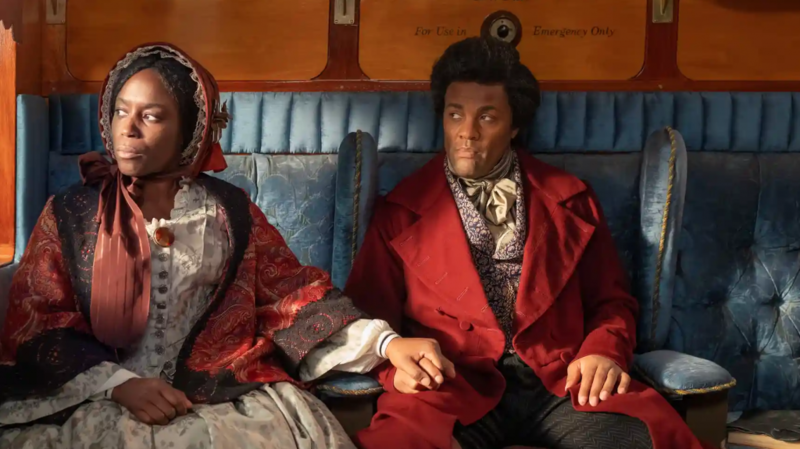 Isaac Julien on Frederick Douglass – ‘It’s an extraordinary story’: Nadya Sayej for the Guardian on a fascinating artwork by Isaac Julien, The North Star (Lessons of The Hour) about the 19th century abolitionist, orator and activist (detail above, photograph courtesy of the artist). This is currently on view in New York but hopefully on its way to this side of the pond soon. The invention of the ‘Salvator Mundi’: Or, how to turn a $1,000 art-auction pickup into a $450 million masterpiece: an extraordinary tale from Matthew Saeger for Vulture. [the painting] has come to illustrate how the interests of dealers, museums, auction houses, and the global rich can conspire to build a masterpiece out of a painting of patchwork provenance and hotly debated authorship. Its rise is both an astonishing tale of restoration and historical sleuthing and — for those inclined to see the world less romantically — a parable of highbrow greed, P. T. Barnum–style salesmanship, and reputation laundering. Christine Lindey – interview: for Studio International, Anna McNay talks with the author of a new study, Art for All. British Socially Committed Art from the 1930s to the Cold War – a great subject for a book and an illuminating conversation; see also Fatema Ahmed, ‘The Socialist Painter’s Dilemma’ for Tribune. Three radical 1960s visions, far from the tumult of Tokyo: a revelatory piece, tied to an exhibition at the Japan Society in New York, Radicalism in the Wilderness, about avant-garde practice in the late 1960s that was completely new to me; by Jason Farago for The New York Times.